At Cambridge Storage, we cater for all of your storage needs. Our most popular type of storage is archive boxes which generally hold A4 and foolscrap box files. We also store what we term 'ugly' items, that is those items that do no neatly stack on a shelf! This could consist of a piece of furniture such as a desk or chair, we have even been known to store an environmental oven for one of our clients. In some instances we are able to offer same-day collection, alternatively all collections will be made within 24 hours notification to us or at a date and time and that is convenient to you. Please call us now on 01223 225555 or contact us. 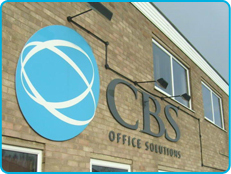 CBS Office Solutions Limited is a company registered in England and Wales with company number 3719979. Registered Office: 41 St Mary's Street, Ely, Cambridgeshire CB7 4HF. VAT Registration No. 538206645.